Fancy stepping back in time? The Limousin is France as it was 50 years ago. It’s reassuringly rural (the only sizeable city is Limoges). It’s under-populated (cows outnumber human beings), there’s very little traffic and mobile phone signal and wi-fi are patchy to say the least. The area’s relative isolation is what makes it so attractive as a place to live. You certainly don’t move here for the bustling nightlife. WHERE EXACTLY IS THE LIMOUSIN? The Limousin is in central-southwestern France, north of the Dordogne and west of the Massif Central. It comprises three départements (Creuse, Corrèze and Haute-Vienne) – all distinctly rural in character – and falls under the administrative region of Nouvelle Aquitaine. It’s thanks to the Celtic tribe, the Lemovices, that Limousin gets its name. It’s safe to say that centuries ago, when these hirsute ancestors of the modern-day French were based here, property prices were distinctly lower than they are today. Although rumour has it that you couldn’t find a decent stonemason for love nor money. Built from rust-red sandstone, the entire village of Collonges-la-Rouge is listed as a monument historique. 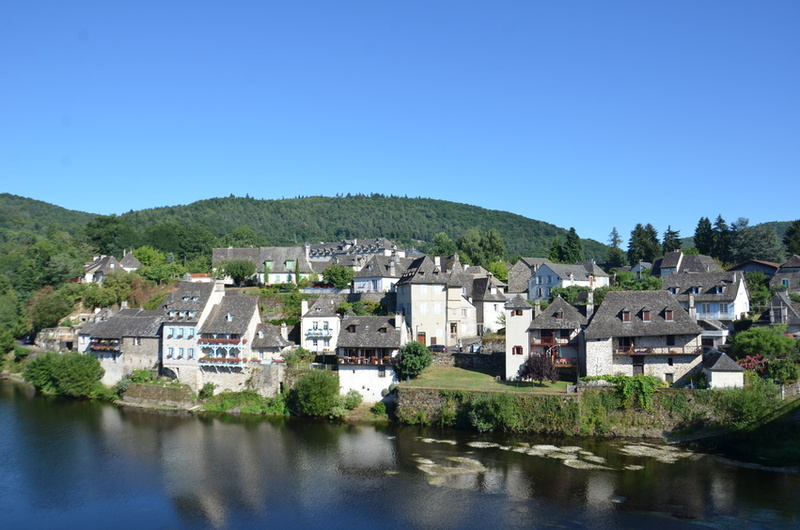 Corrèze property prices fell 9.5% for the second quarter of 2016; Creuse property was up 4.2% for the third quarter; while Haute-Vienne property flatlined at 0% for the third quarter. According to the Ministère de l’Écologie, du Développement Durable et de l’Energie, Nouvelle Aquitaine (the region the Limousin falls in) had the second highest housebuilding percentage increase from 2015 to 2016 of all of France (just behind Provence-Alpes-Côte d’Azur in first place). 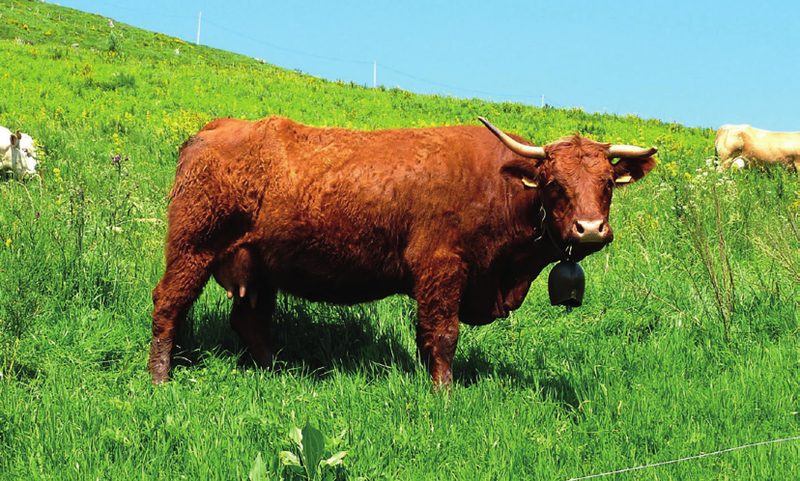 Limousin cattle are beauties – both in the field and on the plate. Look for the red prestige blazon label as a sign of quality. Other local meat includes Baronet lamb or the Cul Noir pork. Obligatory dessert is the traditional clafoutis cake. The best ones are cooked with unpitted cherries, since the stones give it a unique taste. Limousin chestnuts are world famous, prepared in just about every way you can think of. And don’t forget Limousin apples: they’re so good that they have their own AOP (appellation d’origine protégée). Limousin isn’t famous for its wine, although there are a couple of wine-growing regions. In Corrèze you’ll fi nd vin paillé, a golden white, so called because the grapes are dried on beds of straw. In Haute-Vienne there is Verneuil rosé. 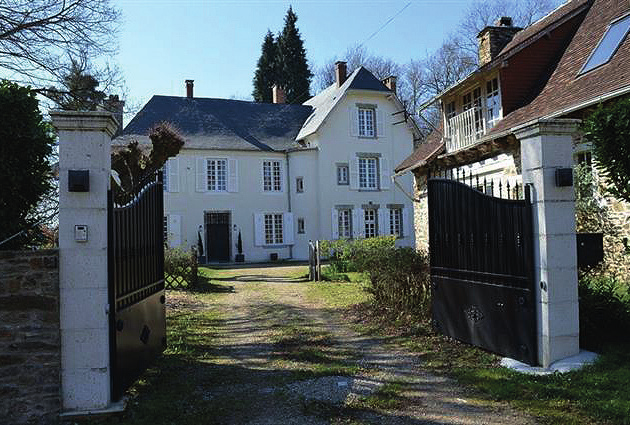 Notaires de France state that for 2016, the Creuse was one of six French départements with the highest percentage (10% to 15%) of property sales to foreign buyers. 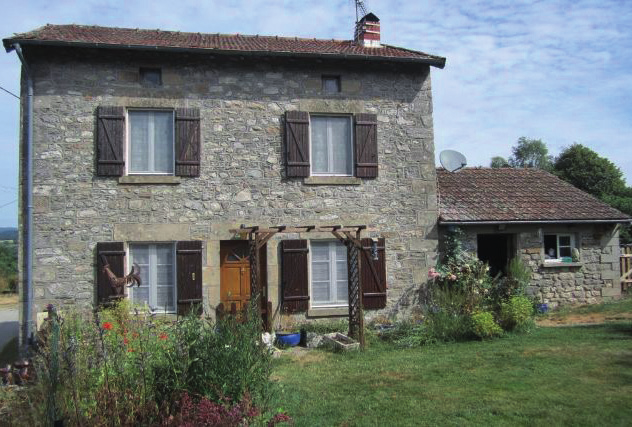 If you are looking for an affordable smallholding in La Belle France, then the Limousin should be your first port of call. Farmhouses in need of renovation with acres of luscious fields are ten a penny in the rural province and can easily be snapped up for as little as €80,000. Equestrian estates, with equine facilities such as a manège, paddocks and stables, often go for €250,000-€300,000. As one of the cheapest regions in France, it is a great starting point for would-be buyers looking for a project. You can pick up a large barn for €20,000-€30,000. Village houses in need of complete ground-up restoration can be found from upwards of €25,000 and habitable townhouses from an attractive €50,000. With its array of outdoor activities, scenic countryside beckoning tourists at every turn and two national parks, the region has become a popular destination for holidaymakers. As such, there is no shortage of gîte businesses – an ideal compromise for buyers after a sideline or pension top-up. Gîtes and chambre d’hôtes are available for fewer than €200,000. Typically, properties in this range have one gîte, already up and running, with scope to expand the business in adjoining sheds, barns or former stables. The predominance of agricultural land means that rows of (abandoned) outbuildings ripe for renovation are par for the course in Limousin. Watermills are sought after for their character and picturesque locations and, as such, are becoming rarer but not impossible to nab. Properties vary in terms of condition and size, but many retain their working mill race and machinery. 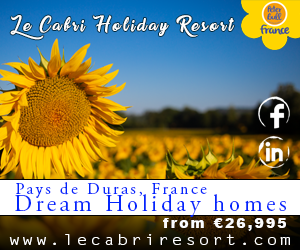 Some properties even offer potential to generate electricity, which is rather appealing to buyers after a self-sufficient lifestyle in France. Watermills requiring renovation can start from €200,000-€250,000 and converted watermills from €300,000. Limousin is not nicknamed the French LakeDistrict for nothing. The region’s impressive network of glittering pools draws anglers by the thousands each year. And for savvy investors, there is a golden opportunity for holiday lets. The better stocked the lake is, the more income you stand to pocket. But, as with everything in France, it is important to do your research, check fishing licensing rules and current regulations. Expect to pay anywhere between €200,000 and €500,000 for properties with stocked fishing lakes and established rental businesses. 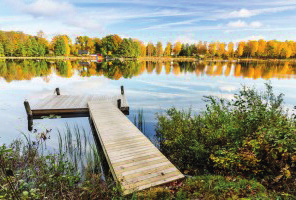 Leisure lakes with recreational land for private use can start from as little as €20,000. Of course, prices vary widely across the region and the further south you travel into Corrèze, the more you stand to spend. Properties in the highly sought-after towns of Tulle and Brive-la-Gaillarde, for example, command a premium. On the plus side, you’ll never struggle to rent your home out. As a rule, the départements of Haute-Vienne and Creuse are far more affordable. The tempting price tags in those areas are truly hard to resist for expats after a slice of the French dream. But there’s a catch: the complete isolation. If you stick to the back roads, you’ll spot fewer than a handful of cars all day. Isolation, isolation, isolation. With such a sparse human population and only one major city to speak of, the Limousin is perfect for hermits, so you won’t find yourself having to queue at the boulangerie or the boucherie. WHAT ARE THE MAIN PROPERTY TYPES IN LIMOUSIN? 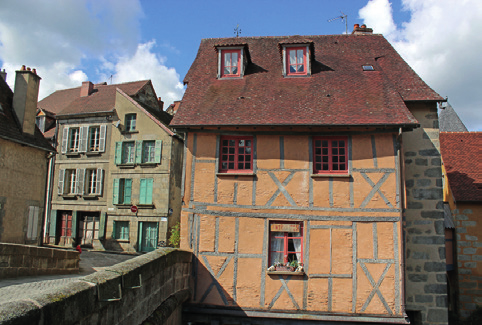 French estate agents have this theory that we Brits go crazy for their medieval old houses and love nothing more than painstakingly restoring them to their former glory. And indeed some of us do. They make for beautiful, if rather tricky, renovation projects. The Limousin has plenty available. Once the French nobility’s abodes of choice, manoirs are impressive and characterful buildings – usually constructed from granite. Resembling small châteaux, they often feature tiled roofs, courtyards at the front, outbuildings (sometimes even a converted pigeonnier), substantial vegetable gardens and plenty of land. As in many regions of France with cold winters, the farmhouses typically used to house the animals on the ground floor and the farmer and his family on the first floor, where they benefited from the rising body heat of their beasts. Today most have been converted for exclusive human use. Peruse a map of the Limousin and you’ll see it’s dotted with thousands of tiny lakes. Many properties stock these with fish and rent them out to anglers. Picturesque lakes full of fish will add serious value to any property. 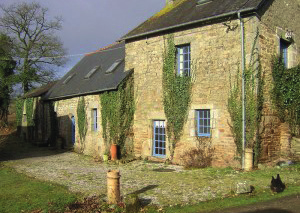 Lots of farm outbuildings means lots of potential to convert properties into gîtes. Developers often keep original agricultural features – for example, abreuvoirs (or cattle drinking troughs) make surprisingly good sinks, as long as you and your guests don’t mind brushing your teeth where bovine tongues once hung out. If you really fancy losing yourself in the countryside, head for the two regional natural parks – the Parc Naturel Régional Périgord Limousin and the Parc Naturel Régional de Millevaches en Limousin. Search around the Limousin and you’ll find plenty of local culture. Limoges is a global centre of porcelain and enamelware with enough china shops to accommodate any number of angry bulls. Aubusson’s speciality is tapestries and carpets, while Saint-Junien prides itself on its leather tanning. The region has more than its fair share of ‘plus beaux villages de France,’ including Ségur-le-Château, Saint-Robert, Turenne, Collonges-la-Rouge, Curemonte and the picturesque Mortemart. Welcome to the beating heart of rural France. 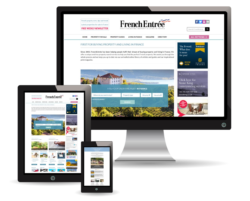 If you feel the Limousin the right place for you, why not browse our property pages or get in touch with our dedicated Property Team on +44 (0)1225 463752. They’ll be happy to help you find your dream home!